1) To deliver desirable desktop performance, pls configure your host according to the Host Configuration Guide. When a single host is used for more than 6 seats, it is recommended to use Gigabit LAN between host and switch..
2) Make sure your host system is a Windows Server edition or Professional, Enterprise or Ultimate edition of Windows personal systems (Starter, Home and Preview editions of Windows personal systems are not supported). 3) Get the software installers ready，including vMatrix Server Manager，RDP wrapper multi-user patch or Microsoft RDS CALs (choose one), VLC media player (optional but recommended) and other required software. You can download the required software at the “Software Download” tab of this page. 1) Disabled security software during the installation of vMatrix Server Manager and RDP Wrapper，as the changes to the system drivers may cause misjudge by the security software. 2) Run the installer of vMatrix Server Manager; After installation, reboot is required, but can be done after all other software installed. 3) Unzip the RDP Wrapper package，run the install.bat file, or install Microsoft RDS CALs if you have purchased. 5) Reboot, and then create user accounts with vMatrix Server Manager, connect the zero clients and the installation is done. If it is not working on Windows 10 with the latest update, run the update.bat file. If you are using a Windows XP, follow the guide to download another file purpose-built for Windows XP after clicking the install.bat file. It is recommended to install VLC media player and set it as the default video player for cases where video play is often required；Beginning from vMatrix 2.0, vCloudPoint introduced a new feature that allows local videos played on the zero client with VLC player to be rendered locally by the client processor instead of the host CPU. This feature aims to significantly offload host-side CPU consumption on video playing and help support more video users per host especially for cases where simultaneous video play is often required. This feature is supported by VLC player of 2.1.5 or newer versions and works automatically after the installation of vMatrix 2.x. You just make sure you are using the correct versions of vMatrix and VLC player and VLC player is selected to play the video, then you are ready to “save”. & 64-bit (exclude Starter edition), Windows 8.1 32-bit & 64-bit (exclude Starter edition), Windows 10 32-bit & 64-bit (exclude Starter & Insider edition), Server 2003 32 bits, Server 2008R2, Server 2012, Server 2012R2, Server 2016, Multipoint Server 2011, Multipoint Server 2012. Note：Non-Windows systems like Chrome，MAC and Linux are not supported. Note: vMatrix doesn’t contain a component or application to allow multiple users to access the host simultaneously, to allow a simultaneous multi-user login, please install RDP Wrapper or Microsoft RDS CALs. To properly license vCloudPoint zero clients in a Microsoft environment, you are recommended to obtain Microsoft RDS CALs from your local Microsoft agent. If you encounter other problems during installation, please refer to “FAQs” page on this site or contact our support team. vMatrix Server Manager is the central component of the vCloudPoint system that runs on the shared or management servers. It contains the connection broker that delivers multiple desktop sessions to terminal users and a number of management tools for the administrator to manage the whole vCloudPoint system. Fixed: modified the USB driver test logic of the Diagnostic Tool to fix the problem that the USB driver is correct but the test result is incorrect. Fixed: fixed the issue that copying large file into a U disk attached to the terminal device may cause desktop session crashes. Fixed: fixed the issue that users cannot be displayed when the domain controller acts as the shared host as well. Fixed: fixed the bug that enabling IP virtualization may cause random “DaemonService”crash and user connection failure. Fixed: fixed the issue that user’s login time does not display on the “User Management” tab. Fixed: fixed the possible .Net error when logging a user out. Fixed: fixed the cpaccel.exe issue on the host when the administrator logs in right after a logout. Fixed: fixed the IP virtualization issue that the selected NIC device could not be saved in some cases, causing the the setting of static virtual IP to fail. Fixed: fixed the issue that the number of online users is not refreshed in time. Fixed: fixed the issue that the name of the terminal that has not connected to the host is not displayed. Fixed: fixed the issue of login failure after a user logs out, indicating that you cannot log in repeatedly. Fixed: fixed the memory exception error after logging out users in Win7/ 08R2 systems. Fixed: fix the valid range of CPU and memory usage percentage displayed at the User Management tab. Fixed: fixed the issue that the full Chinese names of the system users cannot be displayed. Fixed: fixed the issue of “host is busy” caused by large CPU usage of “DaemonService” in idle time. Fixed: fixed random freeze of host service after attempting to login a user. Fixed: Fixed the bug in Win7/ 8.1 that terminal devices cannot connect to the host after modifying the starting port of network service at the server manager. Fixed: fixed that issue that language changing through the right bottom icon does not take effect. Fixed: fixed the issue in Win10 that video content may be by misplaced when played with VLC player under the Economic Mode. Improved: improved USB devices redirection compatibility. Improved: modified virtual IP assignment sequence on user login to reduce possible virtual IP address conflict. Improved: optimized terminal connection logic in VPN to fix the problem that terminals fail to login when using some VPN software. Improved: modified the inner layout of “Network Settings” menu inside the right-click menu of the “Device Management” tab to allow unified configuration of the IP addresses of multiple terminal devices. Improved: removed the separate “Fixed IP Address” menu inside the right-click menu of the “Device Management” tab to move the fixed IP address setting to the “Network Setting” menu. Improved: optimized video playback on VLC media player. Improved: the rename function is changed to be applicable to offline users. Improved: removed the USB redirection device icon on the host. Mr. Roel Vosters, Netherlands, Mr. Majid Khaki, Iran, Mr. Maximo Daniel, Dominican Republic, reported the issue that users cannot be displayed when the domain controller acts as the shared. Mr. Maximo Daniel, Dominican Republic, reported the bug in USB option settings. Mr. Raymond Mul, Netherlands, suggested the terminal auto connection function for attended scenarios. Mr. Yuan Gao, China, Chongye Chui, China suggested the wallpaper customization function. Mr. Olga Vasylieva, Ukraine, provided the Ukrainian language translation. Fixed: fixed the bug that users can not login with domain account in some circumstances. Fixed: fixed the bug of randomly slow down when playing video through VLC player. Fixed: audio system now works properly on Windows 10 1803. New: allowed batch settings of static virtual IP addresses. New: added user filtering & searching, and display of online user number in user management page. New: added logout & disconnect menu at the task tray of terminal sessions. New: added bubble prompt when a terminal device establishes connection. 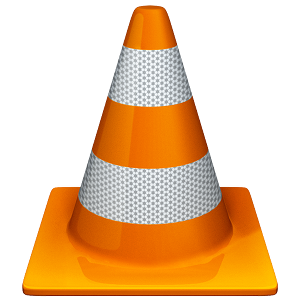 New: added support for VLC Player 3.0.x versions. 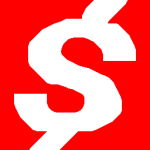 New: added support for serial devices redirection. Improved: improved IP virtualization compatibility. Improved: optimized operation performance of the management interface. Improved: changed the displays of task tray icon and user profile pictures for vChat. Improved: hide task tray USB icon for user sessions running on USB-redirection-not-supported devices. Fixed: fixed the bug that administrators can take control of the user sessions through keyboard & mouse operations even when they are not authorized to view user sessions. Fixed: fixed the bug that when management software is forced to restart, user status cannot be identified. Fixed: fixed the bug that login services may freeze after long hours of operation. Fixed: fixed the bug that management interface texts stop responding after frequent language changes. Fixed: fixed the bug that some elements on the pages of user management, user information, behavior logs, management logs do not respond in time to language change. Fixed: fixed the bug that error prompts for local user allocation do not display in the correct language. Fixed: fixed the bug that sessions may freeze during initiation if desktop wallpaper is enabled. Fixed: fixed that bug that drive letter of the terminals’ private partition and USB storage device cannot display correctly. Fixed: fixed the bug that page content of some applications like Firefox, may not display properly on the clients. Fixed: fixed the problem that broadcasting mode does not work properly on video-playing clients. Fixed: fixed the bug that users still can login to the host when maintenance mode is activated. Fixed: fixed the problem that client users cannot login to a Windows Server 2003 host. Fixed: fixed the bug that some drivers may be lost after updating the Windows 10 or Windows Server 2016 system. Mr. Abdul Rehman，Pakistan, Mr Majid Khaki, Iran, Mr Vijayant Singh, India, assisted to improve the IP virtualization compatibility. Mr. Eric Chou, Taiwan, reported the bug that sessions may freeze during initiation if desktop wallpaper is enabled. Mr Louis Choi, Korea, and Mr Mingaugas Pozingis, Lithuania assisted to add support for Micro:bit and Arduino devices. Mr Louis Choi, Korea, suggested to add bubble notification when a terminal device establishes connection. Mr. Mahesh, India, reported the bug that Chrome page content may not display properly on the clients. Mr. Mek, Laos, reported the bug that the chat session does not show the notification or pop-up message on a coming new message. Mr. Metin, Turkey, helped to add Turkish language. Mr. Nader, Saudi Arabia, assisted to fix the bug that login services may freeze after long hours of operation. Mr. Pedram Hassas, Iran, assisted to fix the bug that some drivers may be lost after updating the Windows 10 or Windows Server 2016 system. Mr. Stanislav Chlepko, Czech, suggested the EULA within the software. Mr. Tomáš Ferianc, Slovakia, assisted to improve COM devices isolation. Mr. Vijayant Singh, India, reported the problem that broadcasting mode does not work properly on video-playing clients. New: added IP Virtualization function. New: added queuing mechanism to avoid black screen when multiple users connect to host simultaneously. New: added sound options to inform administrator when client device disconnects / logs off from server. Improved: remote USB devices can be authorized for access according to device types. Fixed: fixed the problem of audio not working on Windows 10 1709. Fixed: fixed the bug that in domain environment local accounts cannot be selected by default during login. Mr Abdul Rehman, Pakistan, Mr. Erik, Indonesia, Mr. Majid Khaki, Iran, and Mr. Metin, Turkey, assisted to test the IP virtualization function and provided valuable feedback. Mr. Louis, South Korea, suggested add sound options to inform administrator when client device disconnects / logs off from server. Mr. Maximo Daniel, Dominican Republic, added Spanish language. Mr. Metin suggested remote USB devices can be authorized for access according to device types. Mr. Mahesh, India, Mr. Pedro Salazar, Mexico, Mr. Stanislav Chlepko and Mr. Tomas Ferianc, Slovakia reported the problem of audio not working on Windows 10 1709. Mr. Louis, South Korea, reported the bug that in domain environment local accounts cannot be selected by default during login. And also thanks to customers who reported the problem of audio not working on Windows 10 1709 and black screen problem when multiple users connect to host at the same time. Media Player Supporting vCloudPoint’s vDirect Client Rendering technology. Attention: As the media content is not rendered at the host side, there is a drawback of using this feature: media content within the VLC player cannot be viewed by the administrator through monitoring at the host side. Description: These documents provide detailed guides for your deployment of vCloudPoint system. Instructions: You are strongly recommended to read through these documents on your first time of setting up the vCloudPoint system, even though you may be experienced in technology of this kind.